As you know, I reserved the inaugural book-signing for Woodstock HD on 3/17 because of my loyalties to them. Don't miss it...and bring lots of friends to shop for other stuff and see the bike that I'm coveting! Other signings in the works. However, that's not why I'm writing today. I received confirmation this morning that I will have a book-signing at the Sturgis Motorcycle Museum and Hall of Fame on August 7 (1:00 - 3:00 p.m.). 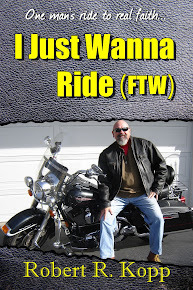 In the meantime, check out the I Just Wanna Ride Tab above for how to order YOUR copy! "If Jesus were to come back and see what's being done in His name, He'd never stop throwing up." Before pretending consternation, take a look at Revelation 3:14ff. I may be wrong but I don't think He sees anything much different in today's pulpiteers/pewsitters than what nauseated Him as noted in Matthew 23 and a plethora of other recordings. Today's pulpiteers/pewsitters seem so remotely/scarcely/occasionally/coincidentally connected to the real Jesus of the NT. Confessionally, I feel like Paul in confessing I'm worse than most. But I just don't see anything in Holy Scripture suggesting personal sin is license to pretend any of us is any better or that much worse than anyone else and only remotely/scarcely/occasionally/coincidentally connected to the real Jesus of the NT. I see no reason not to suggest there's a lotta room for improvement in me/you/us/them. He was especially hard on clergy and anyone else who tried to turn a relationship with Him and His into a religion of human invention (e.g., rubrics, ritual, ceremony, collectively rites, vestments, bylaws, constitutions, and other stuff only remotely/scarcely/occasionally/coincidentally connected to...). Hosea 4 comes to mind. Really, think about it for Christ's sake as well as your own, how much of what goes on in today's church has any remote/scarce/occasional/coincidental connection to...? If I have to catalogue the illustrations, you ain't gonna get it/Him anyway. Everybody needs to exorcise every now and then. If I'm reading/praying John 17 along with the end of Matthew 23 along with that plethora of parallel passages correctly, He's really, really, really put off even POed as well as saddened by posers in pulpits and pews who are too "right" and too many "other" things to hang together in fellowship, worship, sacrament, service, and so on. I think clergy - take a long look at Hosea 4 - really, really, really agitate Him in an Almighty God kinda way when they set the tone for segregation, separation, and schism. And before you invoke those isolated texts that are used to rationalize those "s" words that bring another "s" word to mind, how dare any of us tell those outside of the borders of Christendom how to get along when we are so divided over really, really, really inconsequential in the end things like...? Shame on you/me/us/people who fence the table as if you/I/we/they owned it! Shame on you/me/us/people who talk about reconciliation while setting such a poor example of it/discipleship! Shame on you/me/us/people who make others twice as fit for...! Shame on you/me/us/people just looking for those specks so you/I/we/they can go your/my/our/their way in arrogance so unbecoming of anyone who really, really, really knows Him! Shame on you/me/us/others for being such sin-filled accomplices for too long! A church changed youth directors. While the transition was even better than could have been imagined, a mom and dad stopped worshiping with the church because they were close to the old one. Babies and other immature disciples - posers - come in all ages. Anyway, think about the example being set by those parents. Where do church hoppers learn to hop around to find others smelling of their same barf? From those posing pulpiteers who set the examples for those "s" words that's just a bunch of...! Jesus was very clear about misleading children by lack of Biblical education and example! I don't expect segregationists, separatists, and schismatics to be familiar with, uh, Him on that or much else that doesn't suit their fancy/fraud. In Forgotten God, about the Holy Spirit yet indicative of those who seem to forget His insistence on people who pretend He's Lord and Savior of all to act like it in relation to the whole family and not just the appealing parts of it, Francis Chan wrote about something that we've all experienced too much in His larger perspective. "A while back," he recalled, "two women from my church grew increasingly angry at each other. The three of us sat in my office, and I listened to them passionately express the reasons for their frustration. I lacked the wisdom to determine who was 'more in the wrong.' I just wept." Continuing, "I told them I was deeply saddened because I knew how much our Father hated this." Concluding, "I believe that if we truly cared about the Holy Spirit's grief, there would be fewer fights, divorces, and splits in our churches....I pray for the day when believers care more about the Spirit's grief than their own." "Anyone who causes one of these little ones who believe in Me to stumble..."
I've had to call on my favorite 1%ers to protect me. I'm 72 hours into an absolute fast. A call has been placed to my insurance man to increase coverage now that death threats are imminent. I've applied for a permit to carry. I feel like a scrawny shepherd boy being chased in the desert by a brutish king. Forget being disremembered for my 60th and 35th if you know what I mean. I'll never be able to upgrade my pony. Uh, now would be a good time to look to the right and click on "Controversy Comes to Belvidere Church" to review why I'm in such a desperate state before riding against the wind avec moi. It has been interesting in a penitentially reflective kinda way. Did you see all of those comments at the bottom of the last edition? I knew I could/may get into lots of trouble over who gets keys when someone really close to me asked in a rather condescending way if I really think every member of the family should have a key to "open" areas while exercising some common sense about other "limited access" (aka offices/studies) lock-downs. Response: "Well, uh, I dunno for sure; but I'm just trying to follow Jesus; and I can't imagine or even re-imagine Jesus keeping keys from family members or even...If someone can give me a good reason other than stuff like control, prestige, power, and..."
But it reminded me of another conversation with Tony about 25 years ago in Kansas City. Actually, it was when I was a really young and famous pulpiteer making enough $ to upgrade my own mule - Psst! There were folks who would have helped me back then even without me asking and now I can't figure out why they haven't helped celebrate that 60th and 35th and... - and I invited Tony and Phil to speak and sing to our officers and church. I'll never forget Tony telling us what his son Bart said as a young boy while they were together in Haiti. Tony had counseled Bart, "Now if anybody asks you for money, don't give anything to them or they'll just keep asking for more." Tony said he never had a good answer for Bart on that one. Then Tony talked to us about Matthew 25:31-46. I kinda feel it's related to our thing about, uh, keys and, uh, other, uh, stuff. Snyder on Tozer: "He measured everything in the Church by this one criterion: Does it exalt Jesus Christ?...To Tozer, it seemed that Christianity was in the hands of those who wanted to be more like the world than like Christ...big business...show business...Madison Avenue advertising..."
Tozer on authentic faith: "I do not care what Plato said...Let Plato kneel before the authoritative Word of God...[The Word of God]...is not the result of a group of religious people meeting together, having a board meeting and deciding...I do not go to priests, pastors, bishops, or doctors. I go to God and His Son, Jesus Christ...We have bushels of religious gatherings but only once in a great while is God in the midst...[The true Church]...is a living organism born of the Spirit, washed in the blood of Christ and joined to the Body of Christ by a mysterious operation of the Holy Ghost called regeneration...Could it be that the conflict is not with a harlot, a gambler and the worldly businessman, but with the religionists?...Shall it be a religion or shall it be Christ? Shall it be churchianity or shall it be Jesus Christ? Shall it be pride or shall it be humility in Jesus Christ?...Jesus will not walk with the proud and scornful." Speaking of keys, read Matthew 16:19. I don't pretend to know all of what He meant there; but it seems to me that the really important keys are His...and He doesn't keep 'em from anyone in the family. I've got a presbytery meeting on Tuesday. For undershepherding guys/gals like me in the PCUSA, it's a vocational hazard. If you're not "connected" to my/our particular franchise aka denomination, you don't care what PCUSA stands for; so why take up space which bears some irony because those in it don't seem to care as much about it as they used to pretend?!?! But for folks not in my/our particular ecclesiastical ghetto, a presbytery is a bunch of pastors and elders in equal numbers in geographical proximity who get together so much more than necessary to make decisions/pontifications that nobody really cares about less than more yet they do it anyway to kinda prove to constituents that they're still really important. I like our presbytery; and it's a lot better than most these days in that it's still kinda irenic in a redemptive kinda way. The coffee is usually good, we get brownies, and I get to see my friends, foes, peers, posers, and others. It's just - Psst! This is a secret that nobody should know back in the churches that underwrite the cost of these meetings a la gas, vehicular wear and tear, paper, refreshments, person hours, and the like - that we really don't need to meet as often as we do for what we don't accomplish. Again, I kinda like to go anyway to support a presbytery that's still trying to honor connections in a John 17, 1 Corinthians 12, and Romans 12 kinda way. And guessing your franchise ain't much different in the short run, it may be worth your time to read on. We get advance copies of committee reports before meetings to inform our prayers, bantering, and moaning. What caught my attention in the recent batch was a very handsome compensatory package (salary) being given to a rookie youth director in a fabulously well-to-do church. Simply, the rookie is gonna get lots more than an unhealthy % of our presbytery. However, if we're really as connected as we say we are, wouldn't it be nice to chip in connectionally to assist those who aren't serving in such a fabulously well-to-do church that can, uh, afford to distort market value? When I was the "senior" pastor - Don't you love the humility of that designation? 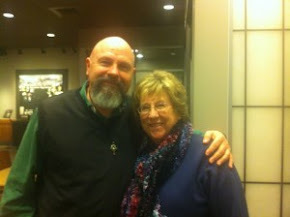 Where does Jesus fit into churches that already have a "senior" pastor? - of three really rich churches, I couldn't rid myself of the guilt of getting paid less than I wanted but more than I deserved until I started insisting we and even selfish me share what we had with those who had not. It seemed like the only "connectional" thing to do in a Matthew 25 kinda way. Again, I'm not begrudging the generosity to the rookie, uh, free agent - I mean the Yankees do it! - but we're supposed to care about everybody in the franchise and beyond the borders of our parochial ghetto in a connectional Christian kinda way. You know, "As you do it to/for them, you do it to/for..."
Because I can't even get folks to pimp my book at presbytery meetings, I'm not gonna bring it up at tomorrow's meeting. I hope somebody is connectionally caring enough to do it. Of course, these aren't good days for any kinda connectionalism. Franchises are being torn apart by folks who've never read/digested true discipleship directives like John 17, 1 Corinthians 12, and Romans 12. Our country is being torn apart by increasing ideologically and politically partisan politics. We can't even get folks to behave at youth sports events. Look what happened after the, uh, Patriots lost the Super Bowl. But that ain't a license for anyone trying to be true to Him. One of my homiletics professors often said, "Never end anything with an interrogative!" So I'm gonna take a risk. Does anyone familiar with Jesus think Jesus would smile at churches and clergy who live that much better than...? I think He'd ask rhetorically, "How did you miss what I said about...?"